1. 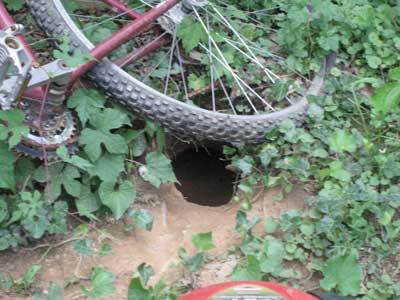 The first is just a hole, I know, but I saw the BLM (a groundhog) go into it. I was sitting in a friend’s backyard at a bbq in Charlottesville, Virginia when the sighting happened. I immediately rushed over to where the BLM was spotted and got down on the ground and crawled around under the neighbors back porch hoping to see it again. I didn’t. But here is a picture of its hole. 2. A a statue of a BLM that I saw in Portland, Oregon. 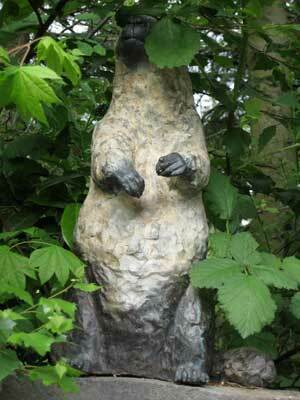 Portland is known as “beaver nation” because the Oregon state athletic mascot is…the beaver. I’m not sure if this BLM statue has anything to do with that or not, but it was very pretty and definitely beaver-like. 3. 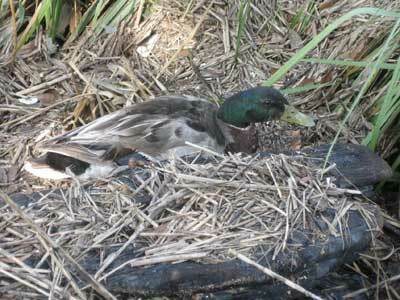 Lastly, here is a wild duck that I saw in a marsh in Charleston, South Carolina. At first glance I think ducks are probably not beaver-like, but they do swim and thrive in similar kinds of habitats and, like beavers, have a waterproof skin covering. Plus, this duck was really nice looking. This entry was posted in Charlottesville, Oregon, South Carolina, Virginia. Bookmark the permalink.